Pennsylvania has long been known as the Keystone State because of its close proximity to a number of major population centers on the East Coast. And as the logistics industry has ramped up over the past several years, Pennsylvania has lived up to its nickname time and again. Its location has, in fact, made it home to a large number of massive warehousing projects, and that trend isn't slowing down even after years of growth. In Tobyhanna Township, Monroe County, a major tire distributor recently opened the doors of a warehouse coming in at about 1 million square feet, and plans to really ramp up its work in the weeks ahead, according to local television station WBRE. Jennifer Green, general manager for American Tire Distributors, noted that the facility has about 150,000 tires in-house already, and that number is expected to reach an end goal of about 2.5 million. All that effort will require about 70 full-time workers to staff the facility, and all their jobs will start at $15 per hour, the report said. Total investment in the project is expected to be about $70 million. "Today we're creating jobs, jobs, and jobs, and a quality of life," John Jablowski, manager of Tobyhanna Township, told the station. Meanwhile, the e-commerce delivery service goPuff recently revealed that it will be building a new headquarters in Philadelphia, near the southeastern part of the Keystone State where many major highways run, according to CBS Philadelphia. The facility will measure about 30,000 square feet and be able to host about 300 full-time jobs, and will necessitate the construction of 10 new warehouses sprinkled throughout the state in Allegheny, Chester, Dauphin, Lackawanna and Philadelphia counties. Furthermore, the company's six existing warehouses in Pennsylvania will all be expanded, the report said. Altogether the warehouse construction and expansion efforts will result in 400 new jobs on top of the 300 seen at the new headquarters. Originally, goPuff was founded by two students at Drexel University in Philadelphia. Meanwhile, all the distribution centers in the region require their own logistical support in many cases, meaning FedEx's planned massive hub in the Lehigh Valley - where many warehouses already exist - could go a long way for the industry as a whole, according to Lehigh Valley Live. There, the shipping center now under construction - planned to measure some 850,000 square feet - will be able to process about 45,000 packages of various size per hour. The facility cost about $9.8 million to build and will end up employing more than 1,000 people, who will work alongside robots to boost efficiency, the report said. Don Cunninghman, president and CEO of the Lehigh Valley Economic Development Corp., told the publication that construction of the facility instantly attracted a lot of attention from manufacturers and e-commerce companies who understand the advantage that proximity to a major shipping hub like this would provide. 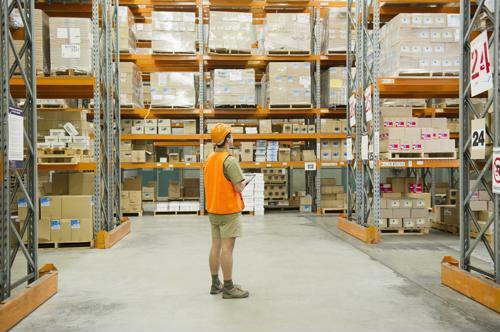 When so many companies are building major warehousing facilities like this, it's vital for businesses to offer a combination of strong pay and high-end benefits, as a means of both attracting and retaining workers as competition heats up.